Faber Dental Arts in Shorewood and Ottawa, Illinois is dedicated to providing excellence in dental care, including a full selection of cosmetic dental services and products. Cosmetic dentistry can help you get the beautiful, confident smile you’ve always wanted. Not every dentist is trained in cosmetic dentistry, but at Faber Dental Arts, we have the additional training and expertise to create your best smile. Whether you need a single tooth fixed or a complete smile makeover, both Dr. Jonathan Faber and Dr. Katherine Faber have the training, experience, and artistic sense you want from your cosmetic dentist. Veneers are thin artificial coverings that are applied over the front of your natural teeth. Veneers are used to correct the appearance of chipped teeth, cracked teeth, gapped teeth, and discolored teeth. There are three basic types of veneers to choose from: composite, porcelain, and luminaire veneers. Ask us for more details today. Teeth whitening can lighten the shade of your teeth and brighten the appearance of your smile. Teeth whitening systems remove or bleach external stains on your teeth. Teeth whitening systems are a safe way to make your teeth several shades lighter. Teeth whitening may be done at home with professional products, or at home with over-the-counter products. Our dentists can determine if you are a candidate for teeth whitening, so ask us about it today. Dental implants can provide long-lasting comfort and a beautiful smile for those who have cracked, missing, or crooked teeth, ill-fitting dentures, or other serious oral health conditions. Ask one of our doctors to recommend which dental implants are best for you! Visit our Smile Gallery to see a few examples of the beautiful results created at Faber Dental Arts. For an appointment, call us in Shorewood, IL at (815) 725-8170 or Ottawa, IL (815) 433-1242 today! 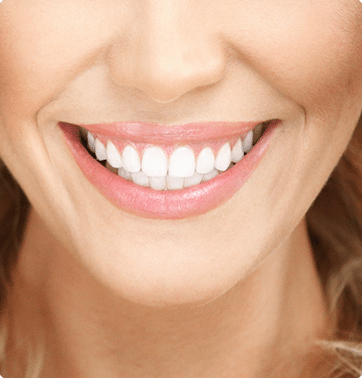 See what Faber Dental Arts can do for your smile!